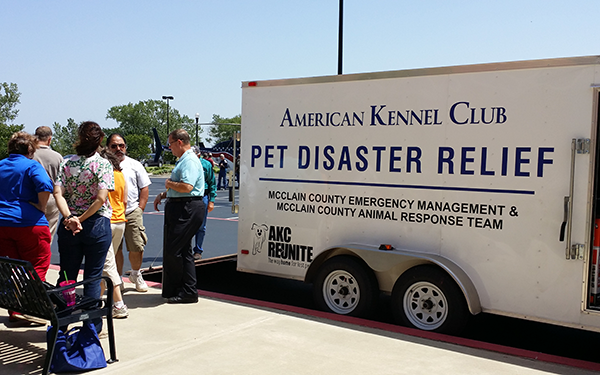 Raleigh, NC — AKC Pet Disaster Relief, a national program spearheaded by AKC Reunite and dedicated to keeping pets and their owners safe in the aftermath of tornadoes, floods, wildfires and other natural or civil disasters, just donated an AKC Pet Disaster Relief Trailer to McClain County, Oklahoma. 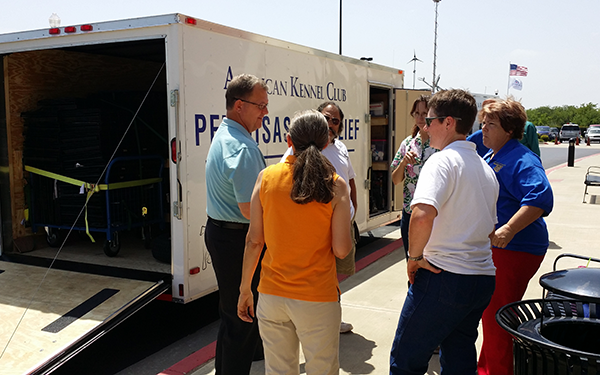 Local AKC Kennel Clubs and the Oklahoma-based Onofrio Dog Shows presented an AKC Pet Disaster Relief trailer to officials from McClain County Emergency Management/McClain County Animal Response Team. Ed Cravens, of the McClain County Emergency Management/McClain County Animal Response Team. AKC Pet Disaster Relief trailers help to create a safe, temporary home-base for at least 65 pets immediately after a disaster is declared. Co-location shelters, where people can evacuate with their pets, as well as emergency animal shelters for displaced animals can be created. The trailers house and deliver essential supplies such as fans, lighting and generators; cleaning supplies; maintenance items; and animal care items including crates and carries, AKC Reunite microchips and an AKC Reunite universal microchip scanner as well as bowls, collars and leashes. 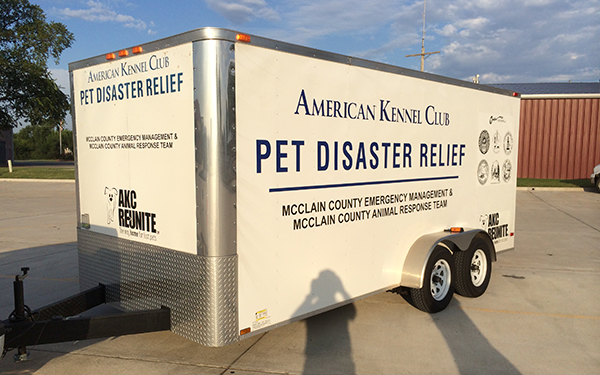 The purchase of the trailer for the McClain County EM/ART was made possible by $22,000 in donations and grants from Town and Country Kennel Club, Sooner State Kennel Club, West Central Oklahoma Kennel Club, Canadian Valley Kennel Club and Onofrio Dog Shows, as well as national organizations like the Bulldog Club of America, the Old English Sheepdog Club of America, and AKC Reunite, the nation’s largest non-profit pet identification and recovery service. 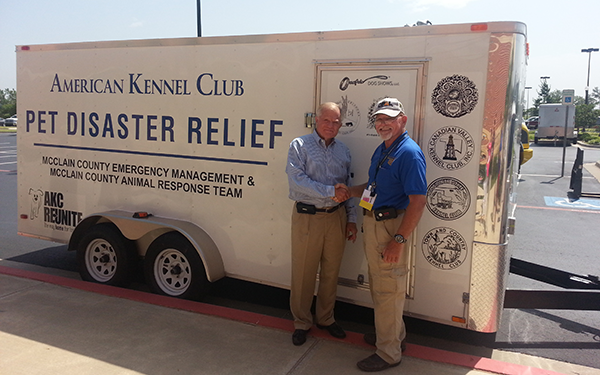 “The AKC kennel clubs in this area wanted to make it easier for our local community to help pet owners in times of disaster, so our club members are very proud to donate this AKC Pet Disaster Relief trailer to McClain County to assist in their future response efforts,” said West Central Oklahoma Kennel Club President Robert Newcomb.